"I" is another interesting Type, by the way. In the core books, it only appears with Rocs. It emphasizes platinum and gems with a slight chance of one magic item. I guess when you can eat elephants, you can be picky about the shiny objects that litter your nest. But back to N & O, I wonder what creature(s) the gang at TSR were thinking of when creating those listings. Someone (something) that had ready access to potions or scrolls, obviously. Perhaps alchemical-inclined or spellcasting monsters of some sort? Unlike some of the other demi-human RMAs, Gnomes are not also PC race in BX. For those of us that have knocked about the old Grand Duchy a while, we've run into the little buggers from Highforge as NPCs, but I don't know if I've seen them used as a "monster" in actual play. As mentioned, nothing exceptional in the stats. One mechanic to consider is that the little buggers have better infravision than dwarfs or elves (90' vs. 60'). It's possible that could become relevant. The gnomes' descriptive text holds some fun tidbits. 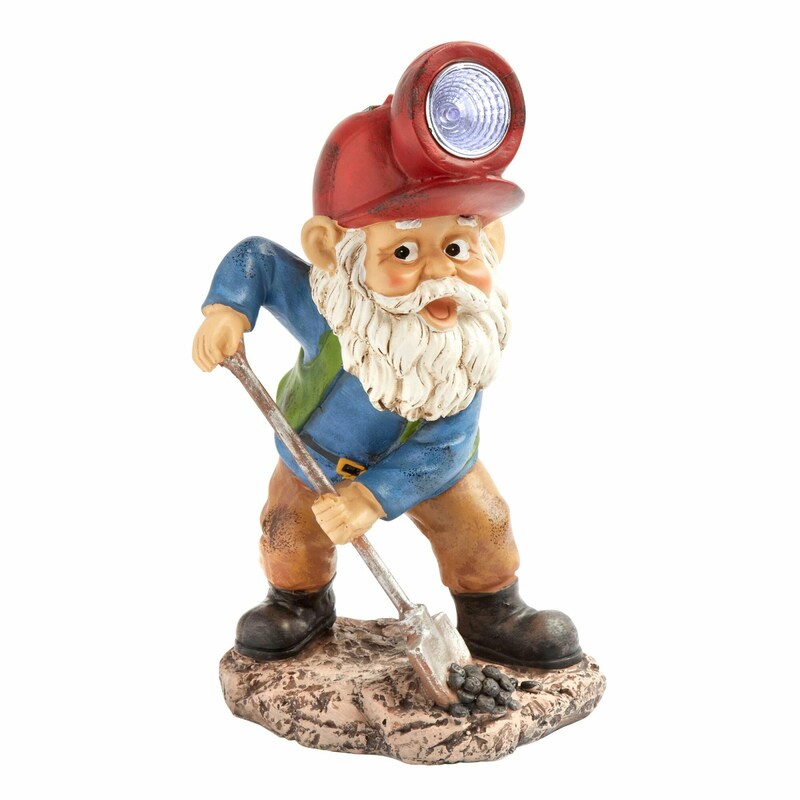 "Gnomes are excellent metalsmiths and miners." Lots of plot hooks there. "They love gold and gems and have been known to make bad decisions just to obtain them." Hoo boy! Is there some meat on those bones! Maybe the gnomes enter into a dangerous bargain for some shinies. Maybe they delve too greedily and too deep. Who knows? Over at the BX G+ Community, Mike Hill pointed out that, oddly, the gnomes' Treasure Type (C) does not include any chance of gold pieces. 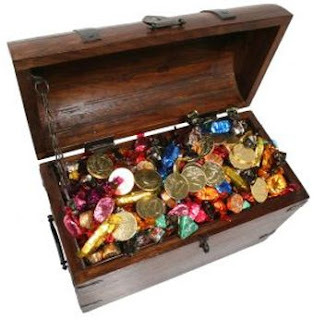 I suppose it I were to try and explain that as other than the designers simply picking a table entry that yields an appropriate amount of loot without carefully referencing the flavor text, I'd say that the treasure section allows the DM to place treasure and to move values around. Maybe there are no gold coins, but perhaps there are ingots or lumps or ore? Jumping from the monster listing in Moldvay over to Cook, there is a fairly extensive writeup of gnomes in the Karameikos wilderness section (X60). In fact, they are the only race described under the "NON-HUMANS" header. It's long enough I won't break the whole thing down here, but it's definitely worth a read. The layout of the defenses is particularly fun (It even has a map!). There is a typo (?) where the text describes summoning guard animals (giant moles) but later mentions them as giant ferrets. I assume it's supposed to be ferrets, as there is no monster entry for moles (giant or otherwise). This spell creates an image of the magic-user that cannot be distinguished from the original except by touch. All spells cast by the magic-user will seem to come from the image. However, the caster must still be able to see the target. If touched or struck by a melee weapon, the image will disappear. Spells and missile attacks will seem to have no effect on the image. The magic-user who casts the spell can make the image appear up to 240' away. Right off the bat. SIXTH level for this spell?! Really? I mean, it's got a good range and duration, but c'mon! I can think of several instances where such a spell would be handy, but as a 3rd or 4th level maybe, not 6th. There are also some interesting limitations that are implied by the brief description. Even though the spells can "appear" as if coming from the image, the caster himself must have line of sight on it. This seems to be saying that the image doesn't relay any information back to the caster. Also, despite the fact that while a melee attack dispels it but a missile weapon does not (huh? ), having the illusion unaffected by ranged/magical attacks can be a drawback, since the image endures even after it looks like the wizard should have at least been hurt. So why would anyone choose or cast this spell? Well, I think it's main strength lies in two (admittedly specific) areas. This spell creates an image of the magic-user that cannot be distinguished from the original except by touch. All spells cast by the magic-user will seem to come from the image. So the illusion looks, sounds, and smells like the caster. If it is standing in the room with you, you can't tell it isn't him unless you make physical contact. That's kind of handy. Likewise, if that Fireball looks like it's flying of the illusion's fingertips, that can confuse enemies and make them pick the wrong target. One of the other things to keep in mind is that, as a sixth level spell, that means the magic-user is at least 11th level (barring the use of something like a scroll). That means he could potentially have fifteen more spells in his repertoire for the day. Not only does that allow for him to mislead foes a lot with where the spells are coming from, but a prepared mage could cast other spells to boost the illusion. Turn yourself invisible and have your illusion draw the fire. Use Wizard Eye, Clairvoyance, and/or Ventriloquism to let you see and hear without actually being in the room. Such tricks could lead to some fun encounters, combat or otherwise, but would require the wizards to really plan ahead. As a result, I don't know that I would keep Projected Image memorized by default, but I could see using it as part of a more involved, pre-planned scheme. I won't say I've never seen or used confusion effects in my games, 'cuz I have! But it usually hasn't been the result of a spell casting. Typically it's been the "spell-like" effect of a monster or item. Looking at the BX spell descriptions, I can see why it's not a commonly chosen spell. Foe one thing, it's 4th level MU, so it's competing for a slot against Wall of Fire, Wall of Ice, and Charm Monster (among others). Also, despite the fact it lasts for twelve rounds and 2HD or less targets get no save, it's a fiddly spell to run. First, the number of targets is random (3d6), so you're uncertain of the result right out of the gate. Secondly, 2+1 HD and up targets have to roll their save each round. Thirdly, the confusion effect is re-rolled for each target each round with a failed save. That's a lot of rolling! Finally, there is a better than 1:3 chance that the target(s) attack you anyway, and that's after they fail their save vs. spell! Confusion is a fun effect, but it's understandable why PC/NPC wizards aren't desperate to memorize it for the day. Time for some Random Encounter Fun! Last time, it was a wilderness (well, city) encounter with some spectres. This time, we'll head back to Moldvay's Level 1 wandering monsters and #19 on the chart: Traders (B43). I know it sounds weird, but bear with me here. Traders in BX are different than merchants. They are "first level fighters who make their living trading goods." the listing goes on to say they are "similar to merchants, but much braver." They normally wield swords or hand axes, wear furs that count as leather armor, and carry shields. Axes, furs, shields... hmm, what does that sound like? The vikings, in addition to the exploring and raiding, were terrific merchants and traders. They sailed all over, and were in a near-ideal position for commerce. So, back to the encounter. Number appearing is 1d8. I rolled a 4. That's a decent party size for some NPCs but these are all fighting types with no clerics or wizards or thieves, so it makes sense they are a level 1 encounter. Not because they're wimps, but because they probably wouldn't venture far into the dungeon. The listing in the book says they use pack mules in the wilderness, and typically carry trade goods like spices or furs or "carved decorative items." But these fellas are in the dungeon, so maybe the animals are back on the surface? Traders have a low morale score (7), so they aren't interested in lots of fighting. They are probably in the dungeon looking for something valuable they can grab and go. Maybe they're hoping for some bits of jewelry or they've tracked an animal with a valuable pelt to its lair. In any case, they probably aren't "residents" of the dungeon. Like the PCs, they're just visiting. I would see an encounter with this group as being far more likely to result in roleplaying than combat. A trading party might buy some loot off the PCs. The party might gain useful information from the traders about the place or the surrounding region (they're probably well-traveled after all). For the right price, the traders might even join the party for a bit and bolster their ranks. In my scenario, I place the traders on the first level of the dungeon, relatively near the entrance. They have tracked some Giant Killer Bees (another level 1 monster) to this location and are searching for the hive. They are carrying green wood and lamp oil to smoke the insects out so they can steal the magical honey. The traders' reaction roll was a 9 (no attack, leaves or considers offers) which seems fair for mercantile types. If the party seems tough, the less than foolhardy traders might offer a trade: If the PCs can bring them a full jar of honey, the traders have a treasure map that the party might find worthwhile. Like the NPC party, traders also serve as a reminder that the dungeon can be a dynamic, living place where the heroes aren't necessarily the only people interested in treasure; and sometimes even a dungeon encounter doesn't have to end up with rolling for initiative. Like so many of these posts, this started when I was flipping through BX. I was reading a section in the Cook Expert book about wilderness travel and ran across a couple interesting passages that, while I've read before, stuck in my mind. The first was "Becoming Lost" on X56. It begins by explaining how not to get lost; which is basically follow a road or some feature like a river or have "a reliable guide." Otherwise, the DM starts rolling for your party to wander through the woods until an OP random encounter eats you or you starve. This got me thinking about how much plot goodness could be derived from paying more attention to these rules, but that's another post for another time. The second part was about foraging for food. Not only is it a bit of a desperation move for when you're out of rations, but it slows travel down considerably. This led the bucket of squirrels I call my brain to mull over the idea of the "reliable guide." Who are these guides? It wouldn't make sense for most dungeons to be right off the main road. They should be deep in the wilderness or similar, Players are notoriously suspicious of hiring someone to lead them to some lost temple. They'd much rather just use a map or stumble off through the swamp by themselves. Less chance of betrayal, and no annoying NPC to keep alive and/or share loot/pay. Like this. But usually fighting over the remote. "Strangely enough, traveling in the wilderness can actually be more dangerous for a low-level party than venturing into the first levels of a dungeon." So what if, instead of hiring some local yokel to lead you to the dungeon or whatnot, you had PC fulfill this role? Someone like, I dunno... a RANGER? 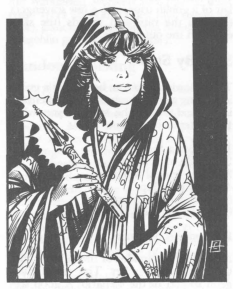 First off, let me say that if you want a ranger like a 1st edition AD&D ranger in your BX/LL game, look no further than the Advanced Edition Companion. It's got a great version. 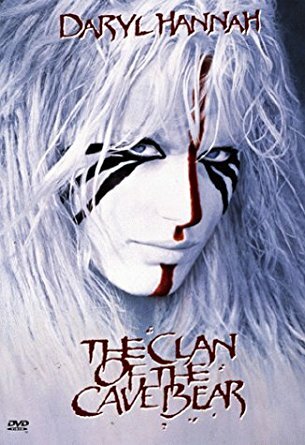 I was looking for something a little less Tolkien: With the orc-slaying, palantir-viewing, spell casting version we all know. I didn't want another fighter either. I wanted someone who was at home in the wilds, who could track, hunt, scout, and also find his way through the wilderness. In many ways he is a support character, like the cleric, but hopefully still with enough to offer a player to make running one interesting and fun. Enjoy. 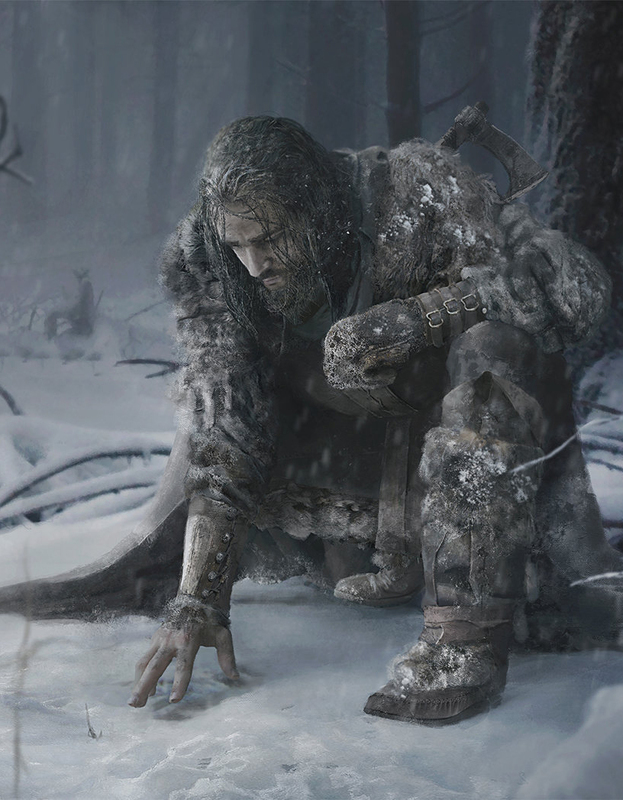 Known Regions: The ranger starts with a working knowledge of his home terrain. He is considered a "reliable guide" within this region and can navigate cross-country without getting lost. Once every three levels, the ranger can add familiarity with a new region with DM approval. He must have spent time there and/or studied maps of the area. The size of a given region is determined by the DM, and may be dependent on size, geographical, or even political features. Tracking: A ranger can follow tracks. The base chance of success is 50% + 2/level. A success shows the ranger a discernible trail and what kind of a creature made it. A failure shows no trail or possibly even a false trail (DM's discretion). A new tracking roll must be made every hour in a dungeon or urban environment and twice a day in the wilderness (usually in the morning and at midday). The DM may ask for a new roll if the trail crosses breaks in the terrain or might have been obscured (eg crossing rocky ground, a stream or a busy road). Modifiers to the basic roll include age of the trail, weather, and the nature of the terrain. The list below is not exhaustive, but give the DM a basis to work from. Modifiers are cumulative. Nature Lore: A ranger is familiar with the natural world of his known regions. He can easily identify normal plants and animals. He knows how to equip and dress for the weather, and find appropriate shelter. He is also aware when something is amiss (birds stop singing, an odd smell, etc.). As a result he is only surprised on a 1 in the wilderness of his known regions. Live off the Land: A ranger is better at hunting and foraging than other classes. He can successfully find food on a 1-2 (d6) for 1d6+Level people and can hunt without having to stop traveling for the day. Alternately, if the party does stop for the day to hunt, the ranger finds game on a 1-2 (d6). At 7th level, these increase to 1-3. He is also skilled at skinning and dressing normal game animals. 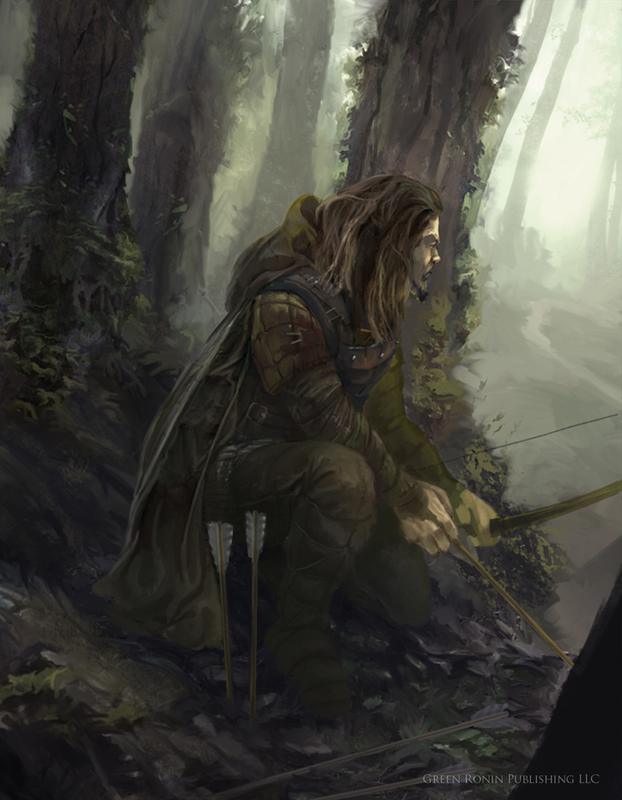 Scouting: A ranger can move quietly and hide in the wilderness of his known regions as a Thief of the same level. Starting at 2nd level, he has gained sufficient knowledge of game traps like snares and pits to let him set, find, and disarm them as a Thief of half his level (round down). Moving away from the magical treasure aspect a bit. I am occasionally bemused by some of the mundane offerings in the classic equipment list and, in keeping with the halloween theme, I thought I would talk about some of the "folklore" items that characters can avail themselves of for dealing with supernatural spookiness. This one is pretty straightforward in game terms. Later versions of the game go into more detail about how exactly it's made, but in BX it is simply "made holy by a high level NPC cleric." Its harmful properties to undead are of course the go-to function of the item, but I am intrigued by the possibilities opened up by the statement "[It] may be used in certain rituals." I like the idea that having a vial handy could make the difference as to whether the party's cleric can perform certain rites. In the Moldvay equipment list, it states that "Each cleric must have a holy symbol." Referring to the item, not the design concept. This is interesting because it's sort of a class restriction/requirement that isn't listed under the class, but in equipment. In later editions, there are wooden or silver symbols, but I don't recall any rules mechanic being affected by the difference. It does offer some roleplaying opps for the player. Spending coin on a nicer pendant might show piety, and the shinier bling could be considered "formal wear" at the great temples. 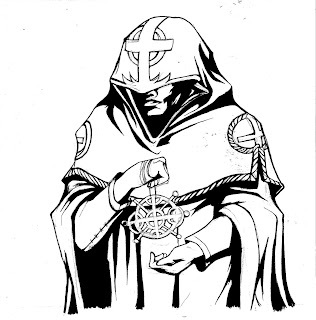 The main use of holy symbols is usually turning undead and warding off vampires. The former is really just a common house rule, but the latter is spelled out in the Expert monsters section. It doesn't turn the vampire, but keeps him away. What I find interesting is the comment "they may move to attack the person holding the symbol from another direction." This implies that the "strongly presented" symbol is pointed in a particular facing. That could lead to some dicey tactics, especially since there can be 1d6 of them in a lair! 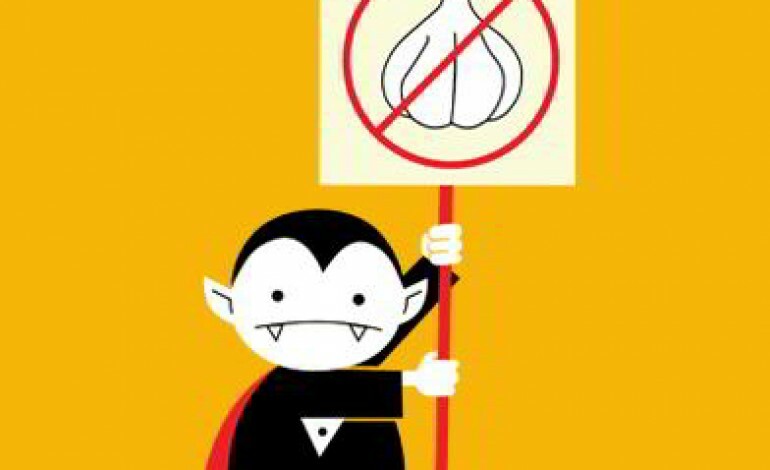 Continuing the vampire countermeasures, we come to garlic. It isn't in Moldvay, having been added in Cook (haha! "Cooking"). Oddly, there is no description. It must have gone the way of "Detect Invisible." At 5gp, it seems pretty pricey. I cook a good deal and like to buy fresh ingredients. I probably spend more than I should at farmer's markets and the like, but 5gp for garlic is kinda crazy. I assume we're talking a string of bulbs here, not just the one. Or maybe those wascally merchants know that adventurers are idiots about mundane gear and will pay ludicrous markups for such things! 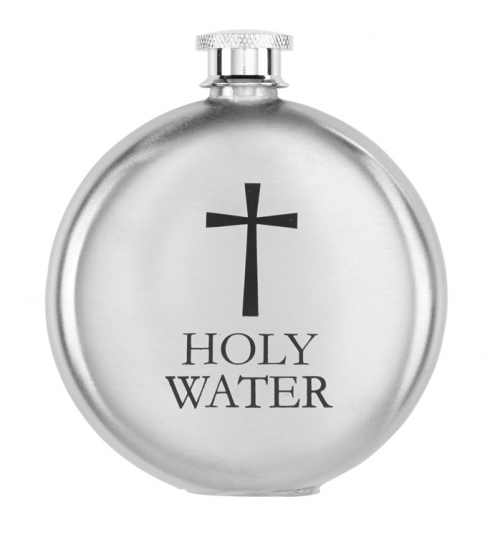 In either case, vampires hate it. Garlic is the only thing I know of that causes any undead to save vs. poison. If the vampire fails it cannot attack that round! No attack. That's huge! Of course, that implies that the garlic must be re-introduced somehow the following round. 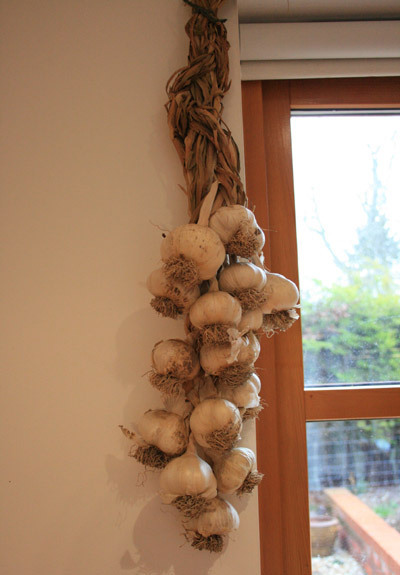 I suppose the original idea was the vampire needing to overcome his revulsion a the string of garlic at the door or window or around the maiden's neck to get on with the bloodsucking business at hand. In a melee, I don't imagine a PC simply chucking cloves at the creature. 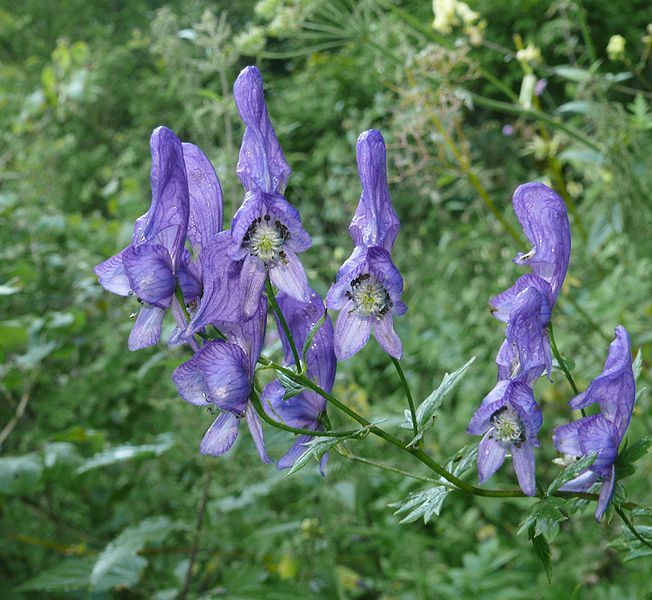 Wolfsbane is a real thing and it is actually quite poisonous if ingested or gets into the bloodstream. I think some of the anti-werewolf legends stem from the fact that it has been used to make arrow poisons that can drop a wolf or other large mammals in real life! It seems less about magic and more about IT'S FREAKING POISONOUS! 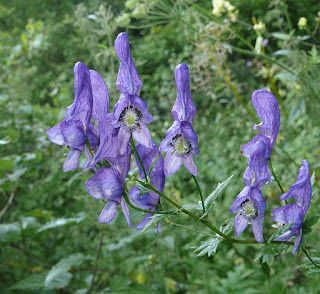 That said, it's important to note that wolfsbane does not kill weres in BX, it drives them off. Still, if I can smack a werewolf on the nose with a purple bouquet and have it flee, I'm good with that! At 10gp a pop, they are not cheap flowers! I would expect that they should lose potency in-game after a time as the blooms wilt and fade. Frankly, after watching those monster movies and re-reading these entries, I think the next time I have a PC in a Ravenloft-ish situation, I'm going to stock up at the dungeoneering produce aisle! The other night I stumbled upon the fact that iTunes had several classic horror/monster movies at very low prices. I picked up what many consider the unholy trinity of OG Halloween films: Lugosi's Dracula (1931), Karloff's Frankenstein (1931), and Chaney's Wolfman (1941). It had been decades since I had seen any of these and could hardly pass up the chance to add them to my library. All three films are short (under 90 minutes each), so I watched them over the last couple of nights. There have been so many attempts to remake and reboot these stories in film over the years, I was eager to go back to the source a bit. I have read Stoker's book, but not Shelley's. The Wolfman was an original screenplay. Rather than enter into an exhaustive review of each film (You can find those online, and written by better qualified critics than your truly! ), I thought I'd talk a little about what struck me after having not seen these films after so many years. First of all, leaving aside things like primitive special effects (Any movie 70+ years old gets a pass there! ), I was struck at how simple these films were. I don't mean they were crude, but they were distilled down to only the bones of the story. 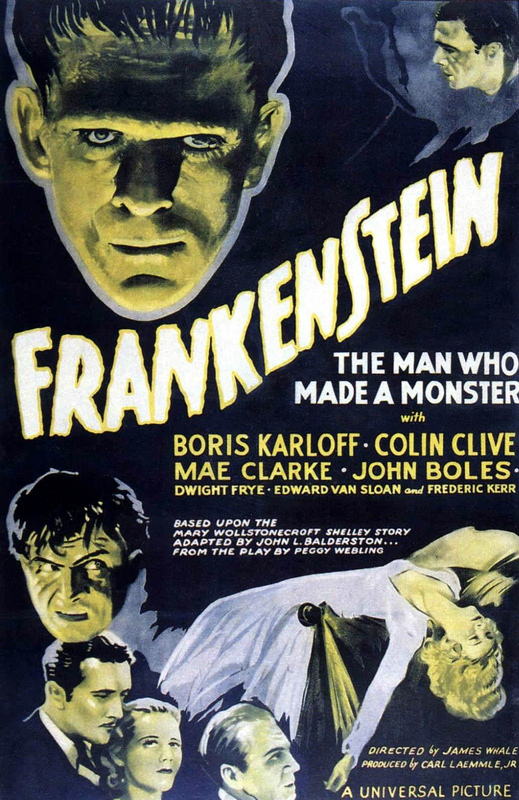 In both Dracula and Frankenstein's cases, to the point where large chunks of the original story were simply dropped. Obviously at the time these were made, the studios didn't necessarily know they were filming anything that would become so iconic. They were making movies to sell tickets at the matinees. The theme that ran through all three of these films was that modern man scoffed at the supernatural or divine at his peril. This is an idea that is still used quite a lot today. But back when these movies were made, the medium of film was, if not novel, the dominant form of entertainment and there were still new things to see. In Dracula we see Renfield (his character was combined with Harker's) dismissing the villagers' warnings about going on to the castle at night. When the Count arrives in London society, Mina and the others accept him at face value. 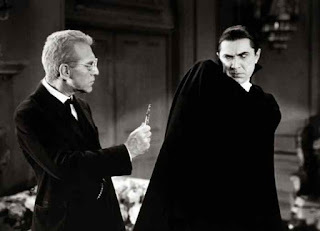 When van Helsing arrives, his greatest challenge is getting the people to believe that there are such things as vampires and the Count is one of them. 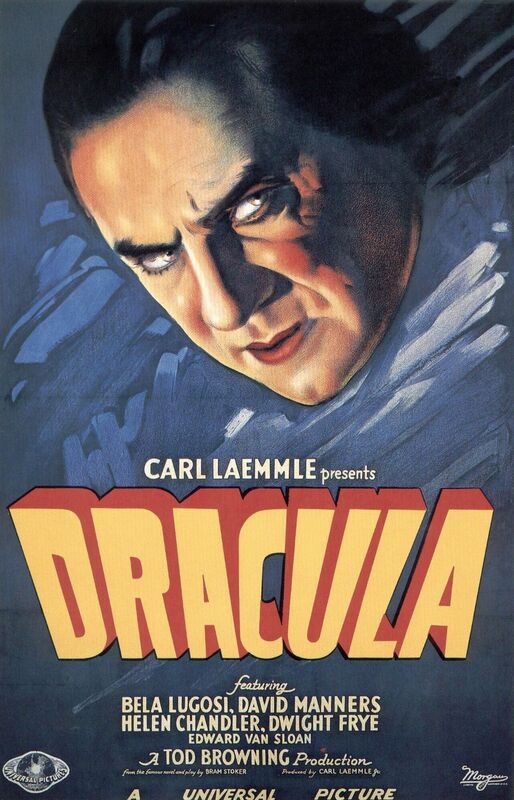 The actual slaying of Dracula takes place off screen and is almost anticlimactic. Frankenstein sets a wonderfully gloomy tone with the doctor and Fritz (no, not "Igor") robbing a grave. His fiancé and friends are worried about his odd behavior and confront him at the lab, where he is ready to bring his creation to life. He succeeds but is horrified at its violence ("Bad Brain!"). At the end, after the creature has gotten loose and wreaked its havoc, the doctor joins the villagers in hunting it down. After the monster is destroyed in a burning windmill, the doctor convalesces at his father's home. The implication is that his efforts to destroy the monster, along with the mental strain of his realization that it was a bad business to begin with, caused a breakdown. Both of these cases are man vs. monster. There is an evil loosed upon the modern world. Men must recognize and defeat the evil. But the Wolfman is different. Lon Chaney Jr. plays Larry, the 2nd son of a lord who had gone to America to make his own way. When his brother dies, Larry returns as heir apparent. He and his father begin to reconnect and Larry notices a pretty girl in a shop. After some frankly creepy stalking by today's standards (watching her through a telescope), he convinces her to walk out with him to a gypsy camp where they can have their fortune's told. The upshot is one of the gypsies (played in fact by Bela Lugosi) is a werewolf and attacks one of the girl's friends. Larry beats the creature off with a silver handled walking stick but is wounded. 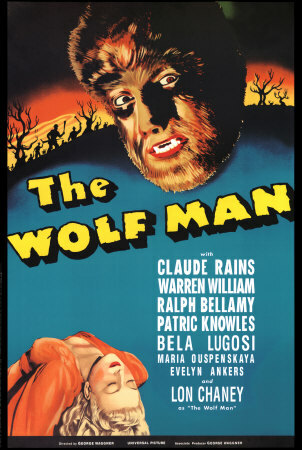 The werewolf dies from the battering and turns back into Bela. I tell this much of the plot to set the scene on Larry waking from his ordeal after being brought home. For a large stretch of the remaining film, it could be viewed as Larry losing his mind. It's in many ways a psychological thriller. He believes he killed a wolf, but instead there lies a dead man. He's told the legend of the werewolf and how surviving victims become wolves. His father, his doctor, and the local law are rational men and believe Larry is simply traumatized. And the argument could be made for it. Does he really change or is he suffering from a split personality? His victims can't say, they're dead! You could watch it from either perspective until the end, when the monster is confronted and defeated by a surviving witness. What made the Wolfman different? I'm not sure. Perhaps it was the fact it was an original story instead of an adaptation. Maybe it was because it was made later. What I can say is that, after watching these classics through a much older pair of eyes, I was happy to revisit all three. But I would pick Chaney's film as the best "horror" movie. Secret doors are so common in classic gaming that I'm surprised when see a dungeon map without one. Players regularly search for them, assuming they'll find one at some point in the crawl. Which is odd, when you think about it. Do you normally assume there are hidden stairs or tunnels in or out of rooms when you walk into them? Of course not, but we're not real-life murder hoboes, we just play them at the table. "A secret door is any door that is hidden or concealed. A secret door usually does not look like a door; it may be a sliding panel or hidden under a rug. Any character has a 1 in 6 chance of finding a secret door; any elf has a 2 in 6 chance. 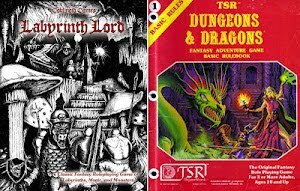 The DM should only check for finding a secret door if a player says that the character is searching for one and searching for one in the correct area. The search takes one turn. Each character has only one chance to find each secret door." Whenever I think of secret doors, the default in my mind's eye is a sliding panel or door that's fashioned to blend with the wall. Surely that's a classic, but it behooves the dungeon designing DM to think about the other ways that a portal may be hidden. Secret doors might be like the images above, or they could be concealed by a tapestry. 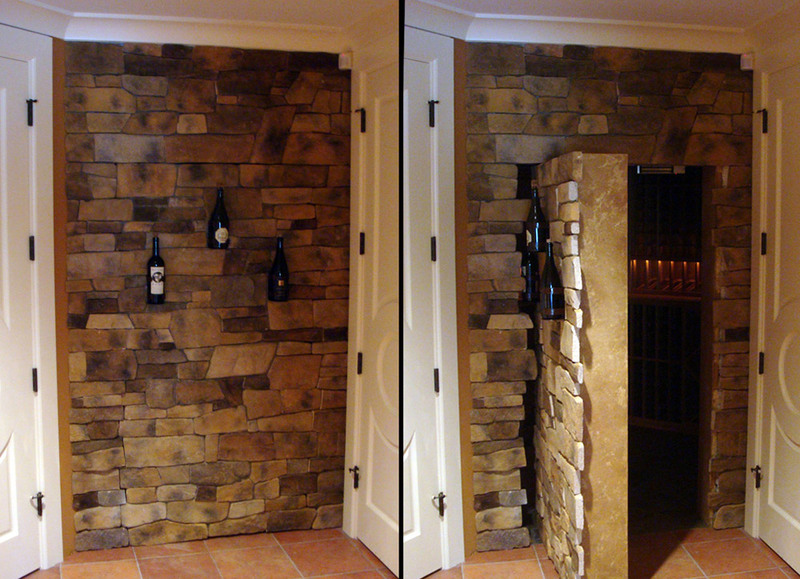 They could simply be a tunnel with loose bricks or stones stacked in the opening. Perhaps a panel that isn't nailed down or loose planks? A cave entrance could be camouflaged by brush or rocks. Maybe it's even a magical or cunning optical illusion masking an otherwise open passage? The point is, you should feel free to mix it up a bit. Which is cooler in play? "We go back to that secret door in the last room." or "We go back through the revolving fireplace."? Remember the second part of the above rule citation. "The DM should only check for finding a secret door if a player says that the character is searching for one and searching for one in the correct area." If the players ignore something that doesn't look like the typical secret door, then their search rolls don't apply there. Of course, they can say they search "everywhere" but that takes time. "The search takes one turn." If you're doing your job as an old-school DM, you should at least consider tracking things like wandering monsters, needs for rest, and torches. Also, the PCs might be on the clock for other reasons. Maybe they need to find the hidden temple before midnight in order to stop the sacrifice or some such. The point is that time is a resource that shouldn't always be unlimited. "The user may, when concentrating, detect the direction and distance of the largest treasure within 360' (unless blocked by lead)." I don't know that I've ever seen this one used. Granted, there's only a 2% chance of randomly rolling this result on the potions table, but I've certainly never placed it deliberately either. 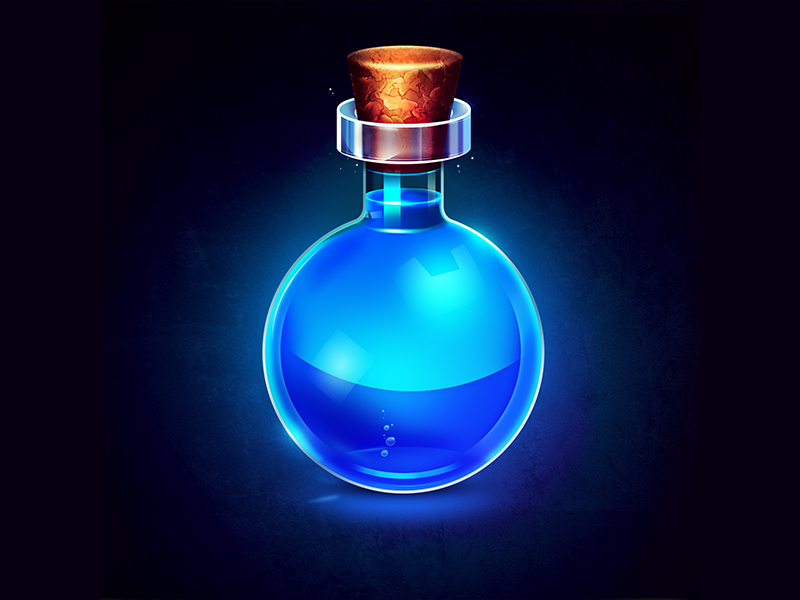 Like other potions, it last for 7-12 turns, so it can be useful in triangulating a bit, but if you're moving at "dungeon exploration speed" and run into any kind of obstacles, you might not get to the loot before the potion wears off. No, what I find most interesting about this item is its existence at all. Sure, detecting gold and gems makes sense in D&D, but offering the ability as a potion is telling to me. The idea that it isn't a spell, but anyone (e.g. a thief) can quaff this and scry the location of the "largest treasure" underscores the idea that classic games like BX are about exploration, not combat. Finding the treasure gets you more XP than killing the monster. Wasting time checking every door and risking random encounters is not the preferred method. Home in on the reward and get out. You can always come back and check the next area after the Teeth of Gwalhur are safely back at the base camp. I haven't done a Random Encounter Fun™ posting in quite a while, but –in keeping with the Halloween vibe– I did roll up a semi-random encounter* to try and cobble together into a (hopefully) fun little set piece. *I did decide to use the Undead Sub-table, but I randomly rolled the location and type of undead, as well as the treasure, hit points, and number appearing. I rolled "City" as the location and a total of four (4!) spectres. Yikes! When I rolled treasure, I was bemused to get a result of 4,000 silver pieces and 5 gems. Why would an undead tolerate the presence of so much silver? But then I read in the description the spectres "... have no solid bodies, and can only be harmed by magic weapons: silver weapons have no effect." So no problem there, other than why an incorporeal undead wants cash at all, but we're getting to that. While it doesn't specify this in BX, the Rules Cyclopedia gives this creature an average INT of 8. This isn't a genius, but it is sentient. Also, it's possible our little academy of apparitions (yes, apparently that's the correct collective) is smarter than the average spectre. Let's stick with 8 for now, shall we? So we've got four of these terrifying but not so bright undead spirits –with a modest pile of loot– hanging out somewhere IN A CITY. What gives? They are in a relatively isolated location. A few nights ago, three ruffians knifed a merchant and took his money: a coffer of silver coins. Pursued by the watch, they jumped the fence into the local graveyard. They hid in an old tomb. While waiting for the coast to be clear, the spied a gem-encrusted urn on the altar. Uninterested in the contents, they smashed the vessel and bent to scoop up the precious stones. The urn was magical and trapped an evil spirit. 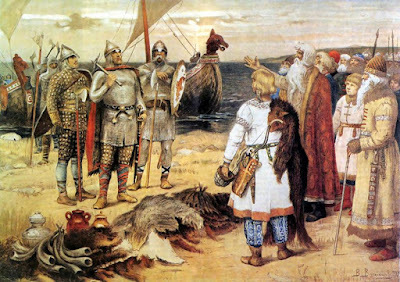 The family had built the tomb when the wicked patriarch had died because it was expected of them and they wished his evil to remain a secret, but they knew his foul necromancies might allow him to return from death in some form or another, so they cremated him and had the vessel enchanted to hold his spirit. Free of its prison, the spectre quickly slew the thieves and they soon rose as his spectral slaves. Their bodies, and the treasure, lie on the cold stone of the tomb's floor. The family died out generations ago, and no one ever visited the grave while they still lived, so it is largely forgotten. The spectres have no master plan, and they shun the daylight, but if anyone were to stray too near after dark, or enter the tomb, they will gladly feed off his life force. Why are the PCs in or near the tomb? Maybe they are searching for the entrance to the catacombs, maybe they are chasing someone? You tell me! Halloween is nearly upon us and while I have spoken about horror gaming in the past, I thought I'd talk about something more specific to D&D-style games as opposed to systems like Call of Cthulhu. More specifically the undead. 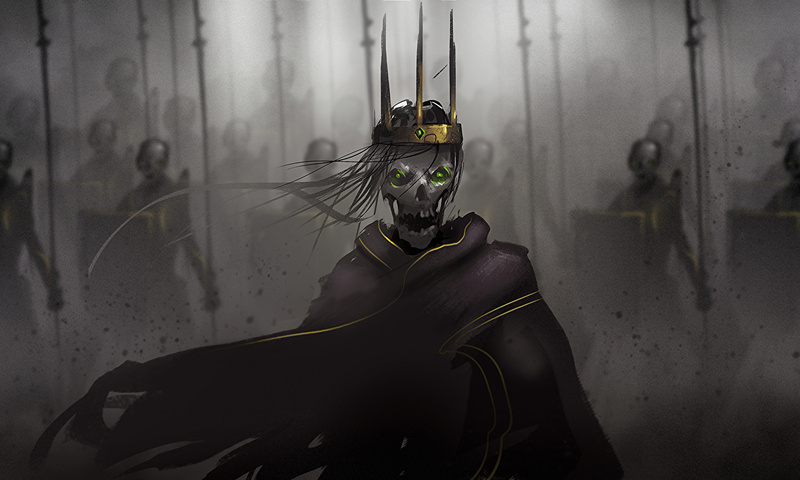 Undead monsters are pretty much a trope in fantasy RPGs. Whether it’s a crypt full of animated skeletons or a barrow full of wights, the unliving are as common as the gossipy barkeep or the blind beggar on the corner. Therein lies the problem. When you look at the stories that inspired these monsters, the undead were, well, monstrous. The idea of meeting a walking corpse or entering a haunted house was supposed to be terrifying. It’s the whole basis of ghost stories after all. That something dead is in fact not. In later years, the undead in fiction became more fodder than horrifying. Certainly many a fictional character was taken down by the zombie horde or strangled by a mummy, but the wrongness of it -in that which is dead moves, threatens, and kills- was lost through continuous exposure. Ask any Call of Cthulhu GM and he’ll tell you, scaring the players (not the characters) is the hardest part. At least partially due to overexposure. Usually in a monster movie, the protagonist is an every-man. He's a regular Joe -maybe with a bit more sand than the next fellow- who finds himself in an extreme situation. He must dig deep and find a way to overcome the evil that faces him. This is the classic trope we see time and again. Ash in the Evil Dead. Van Helsing in Dracula (the original, not the Hugh Jackman version). Brendan Frasier’s Rick in The Mummy. The list goes on. But in fantasy games like classic D&D, the characters are heroic. 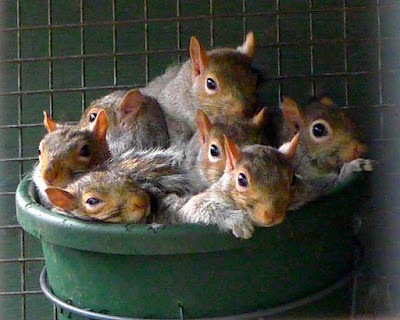 They are a cut above the crowd. It’s an adventurer’s job to go out and fight monsters. That crypt full of skeletons isn’t all that different from an orc lair. They all fall to the swing of a sword or the magicking of a missile. Classic D&D style games don’t generally include rules for things like PC insanity, so there isn’t much there to daunt the dauntless PCs. 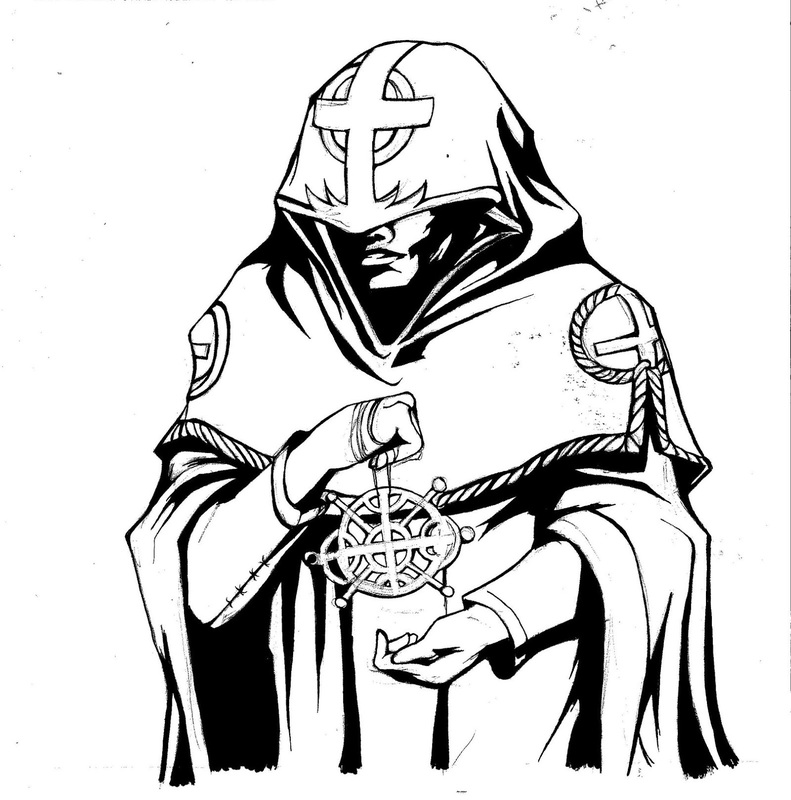 Another feature that can make dealing with the undead blasé is the cleric’s Turn Undead ability. The rules as written are sadly silent on the penalties for failure or how often this power can be invoked. Unlike a spell, turning is not “fire and forget.” Granted, the more powerful undead are harder to repel, but you can see my point. If a dozen skeletons can be chased off by one PC holding up a necklace, they are bit less intimidating. If you’re a GM like me, you’re always looking for ways to make the game fresh and interesting for you and the players. And if you are planning to run an undead-themed campaign, adventure, or even just one such encounter, you may be trying to decide how best to ramp up the tension and excitement. You can always make a monster more dangerous. You can boost hit dice, add special abilities, or even just increase the number appearing. This will have the effect of making the encounter(s) more difficult, but that isn’t necessarily the same as scarier. 1) Scarcity: Whatever creature or creature type you want to be scary, use it sparingly. If there are zombies in every room or behind every tree, they become prosaic. You’re fighting an uphill battle with such iconic monsters already. Don’t make them common in your adventure or campaign. If horror is your goal, the world has to seem almost boringly normal, until it's decidedly not. 2) Environment: The location can be your friend in several ways. First, visibility. Broken tombstones block line of sight. Darkness makes it hard to see them coming (rulings vary, but infravision might be useless against room temperature corpses). Don’t send a handful of skeletons shambling down a long corridor at a party that has continual light spells blazing away; have them suddenly pop out of secret doors or around corners or at the bottom of pits the unwary fall into. Perhaps an eerie fog makes it hard to see them until they are practically on top you. Remember, the undead don’t need to breathe, so maybe they lie in wait at the bottom of a pond or pool. 3) Tension: Build toward the encounter. Pace yourself. Like a ghost story or horror movie, the monster doesn’t appear right away. Increase the tension a bit at a time if events allow. Perhaps there are clues that something wicked this way comes. A glimpse through the shadowy trees, perhaps? Maybe the hirelings are growing increasingly nervous before they finally break and run (frequent morale checks)? If you can arrange for an NPC friend or cohort to be snatched or killed by surprise, it can add to the immediacy of the situation. 4) Rationale: Why are the undead in this place at this time? 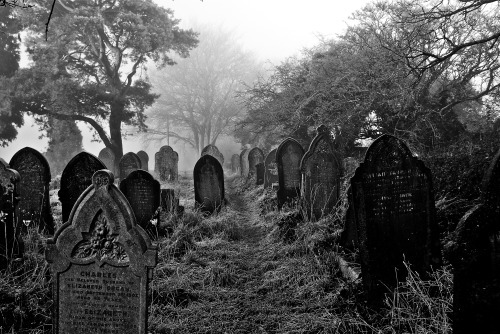 Unless you are running a setting that follows very different concepts, the dead usually stay dead. 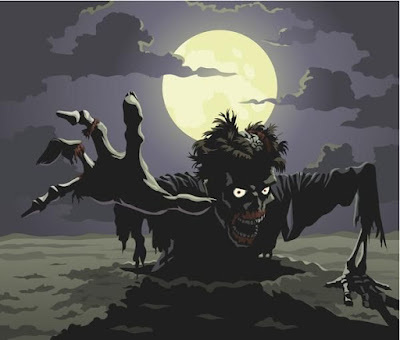 For a deceased person to rise as a mindless zombie or a foul vampire or anywhere in between usually has a cause. Is there a curse on the ground he was buried in? Was he bitten by a vampire? Did a necromancer cast Animate Dead? Is it a viral zombie outbreak? Why is this happening? This can add mystery to the story. In a dungeon crawl, if undead are just one of the things the party fights and there is some power creating them, could that mean other monsters that the PCs have already bested rise to fight the party again? Perhaps the restless dead are merely a symptom. Sure you can hack the zombies, but will that stop the real threat? Intelligent or sentient undead have their own motives. Sure a vampire wants blood, but longer term (he’s immortal after all) he should have plans. Like a dragon, smart undead who have been around for a while should have taken steps to protect themselves and be advancing their agenda. This may include mortal servants as well as things like zombie minions. Vampires and specters are not good random encounter material -they have long-term goals and consequences. Nor will they work for another monster or NPC without a very good reason! How does this make things scarier? Well, it doesn’t necessarily, but it adds depth and mystery to the monster and therefore the encounter, both of which makes building tension easier. 5) Variance: I included this option last because I said I wanted to avoid house rules, and while this isn’t exactly a house rule, it isn’t strictly by the book either. Mix things up with your undead (indeed, with all your monsters). Skeletons whose bones glow and burn like embers. Zombies that carry rot grubs inside their decaying entrails. The purpose of altering the “standard entry” of the monster doesn’t have to be to make them more lethal. It can also be used to simply make them more alien. As an example, one of my favorite variants are peat bog mummies. Players (and their characters) won’t be expecting mummies in your setting’s equivalent to foggy Scotland. You can run the creatures mechanically identical to regular mummies, but their appearance and locale can give a party a nasty surprise! Another fun one is animal skeletons. Most of these suggestions can be easily applied to nearly any encounter to make it more challenging and more memorable. Not every combat is going to send chills down a player’s spine, but if any creature deserves the chance to do so, it’s the undead. Back in the day I posted regarding the BX rules for creating an NPC Party. As I've been looking at using things like peasants and NPCs in an adventure I'm working on, I thought I'd go ahead and generate a party for general consumption and as a walk-through of the process. 1) Determine the number of NPCs in the party: 5-8 (roll ld4 + 4). So I rolled 8,1,2,5,1, and 4. That's three fighters, a magic-user, a dwarf, and a thief. This is a pretty muscle-heavy party, but maybe the wizard is after some ancient magic. The thief and the dwarf are there to foil traps and find their way in the deep places of the world. The group gets the mundane loot and the mage gets the mystic relic. 3) Moving on. We check for each character's level. Using the Basic rules, it's 1-2 = 1st, 3-4 = 2nd, and 5-6 = 3rd. I rolled a mix. We have a 1st level dwarf, a 2nd level thief, one of each level fighter (1st, 2nd, and 3rd), and a 3rd level magic-user. This actually jibes well with the imagined scenario above. 4) Next, alignment. Same spread as levels, but Lawful/Neutral/Chaotic. OK. The rolls make it pretty weird. Everyone except the 1st level fighter and the thief are chaotic. They are both lawful. It fits okay with the idea that they are all mercenary types, maybe hired by the wizard by the promise of loot. The chaotic wizard makes sense too. Maybe he's seeking black magic of some kind. Things might be kind of tense for the junior swordsman and the trap sweeper. Plus, a chaotic dwarf? Wacky! 5) Randomly determine spells. This will be interesting! The magic-user gets two 1st levels and a 2nd level. The results are Light, Floating Disc, and Wizard Lock. Those are...unusual spells for a mage, but random is random! 6) Roll for any treasure. The book says you can also choose special treasure to give the party, but in keeping with the spirit of chance, I rolled and got nothing for them. The NPCs given that most of the PCs are higher than 1st level, one might assume they've somehow lost any treasure they'd won in previous adventures, or maybe they spent their cash on gear for this expedition. Now, you could stat these characters out more fully with scores, equipment, etc. but at this point it's really just PC creation repeated a few times. As I mentioned in the earlier post, the Expert rules increase the level ranges for more powerful NPCs. I've mentioned this item in the past, but only as an example of a cursed item. The lovely thing about rings in BX -and most other flavors of D&D- is that they can be just so darned tempting to adventures. Unlike scrolls or potions, they are usually permanent items. Unlike, weapons, often any class can use them. There are exceptions of course, but most are universal. Rings also contain some of the most powerful items. The Rings of Wishes spring to mind. So it's small wonder when a player gleefully has his PC slip that golden band around his knuckle and asks "What does it do?" 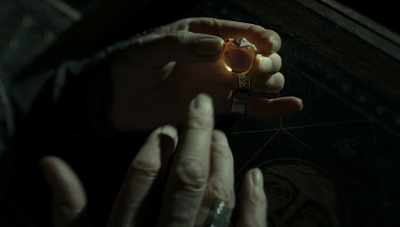 The DM is encouraged to fool the player (as well as the PC) about the ring's effects for as long as possible. So when the PC tries to charm that guard with his "Ring of Human Control" he gets a rude surprise instead. PCs are supposed to be resistant to giving up cursed items in general. The ring is no exception. So it could be argued that the character will persist in believing the item is conferring some great benefit even though it is plainly cursed. It does create a delusional effect, after all. Now, I wrote a post a while back titled "Magic with a cost", with the idea being that some items may not be entirely beneficial or malign. Imagine a Ring of Delusion that actually does grant a magical benefit -invisibility, for example- but at the same time also makes the wearer believe something delusional about something other than the item's effect. For instance, the ring can let you turn invisible, but you also become convinced that you are the secret son of the king. Perhaps a series of vivid dreams gets confused with reality. Roleplaying fun awaits as the player gets to act this out. Of course, the fact that the ring actually turn him invisible is a red herring. The other players will be unable to pinpoint the cause of their companion's odd behavior. Like the doppelganger scenario, a player willing to RP the situation properly could fuel a whole series of adventures. 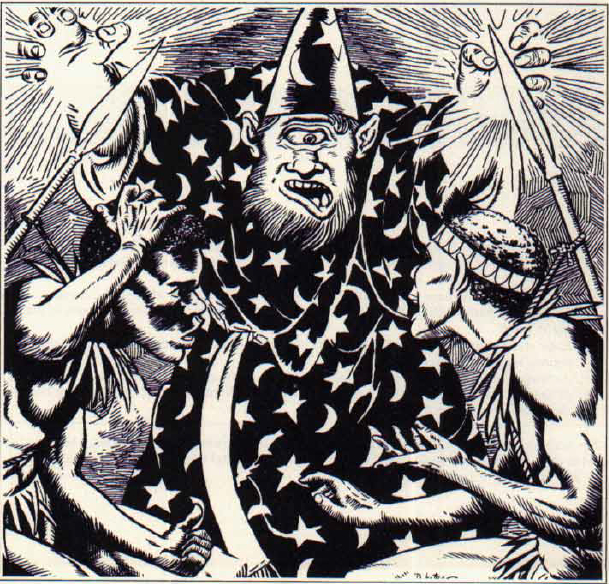 While my Random Monster Assessments (RMAs) over the years have focussed on Basic/Expert critters over the years, 1st edition AD&D fans might be interested in "Monster Man" Jim Holloway's new podcast. 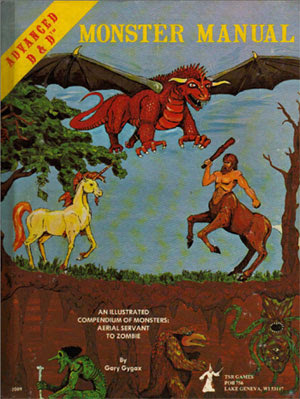 In it, he plans to cover each creature in the 1e Monster Manual in alphabetical order. The first entry is already up and he says he intends to post 2/week. Definitely worth a listen, IMHO. 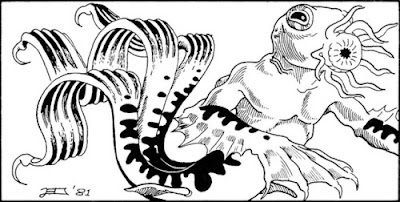 Animate Dead is not a particularly uncommon idea in D&D. Evil necromancers and liches summoning armies of the undead is a pretty standard trope in fantasy fiction and games. However, the spell's use by player characters is a bit more out of the ordinary. Often, it's considered an evil (or chaotic) act, or at least morally dubious. In BX, Animate Dead is a 5th level MU/Elf spell, which means a 9th level PC caster level minimum. It also means having it in your spellbook, not something you trade out during morning prayers like a cleric. There are other spells the Wizard or Wizard/Lord might typically choose before this one (assuming your players choose their spells as opposed to randomly learning): i.e. Conjure Elemental, Telekenesis, or Teleport come to mind. So let's take a look under the hood, shall we? OK, right off the duration jumps out at you. These rotting minions don't fall apart after an hour or so. You've got to kill them, turn them, or use Dispel Magic on them. They obey the caster (natch) so that's where you get skeletons guarding some tomb for centuries and the like. Next off, the caster created 1HD of skeletons or zombies per caster level. So your 9th level wizard can animate 9 skeletons or 4 zombies + 1 skeleton, etc. That's fairly straightforward. Wisely, the spell description states that character levels don't apply to determining the undead's hit dice, otherwise you could have things like 14HD skeletons walking around. Here's what gets me. This isn't some elaborate ritual like Spiritwrack where you need a lot of prep for it. You can keep casting it every round if you've got the spell slots and there are enough cadavers about. A high level mage in the middle of a battlefield could recycle a lot of troops that way. It's even handy in the crawl, where a nasty fight with a lot of orcs can be balanced by getting some of their hacked comrades back on their rotting feet. Heck, I could imagine a fun "spell duel" where two casters in a cemetery are burning through scrolls and spell slots trying to get as many "residents" on their team as quickly as possible. While it's not a standard item, imagine a staff or wand or intelligent sword (!) with this spell's ability! I'm talking about that (potentially) massively powerful weapon found in Moldvay's treasure charts; the +1 sword, casts light on command (30' radius). Light can blind an opponent if cast on their eyes. It's still a magic sword that lets you hit things like wights and lycanthropes. Following this model gives the user a huge leg up in a fight. Now, you could make the DM ruling that the light can only be centered on the blade as opposed to "targetable," and that would be fair enough, I suppose. Unfortunately there isn't a more detailed write-up of the weapon provided in the book. However, in Cook, there are a couple other weapons with spell like effects which do have some accompanying text. In those cases (charm person and locate objects), the powers are described as per the relevant spells. So that's a point for the original premise. It's worth noting that even without the blinding ability, a light spell ability that doesn't take up a spell slot is a great resource for a low (Basic) level party. * The Cook Expert items do include a frequency cap on invoking the powers, but they aren't uniform. Their similarities are why I decided to lump them into one entry. So we'll talk about those first. Each of these are large plant-eaters, but not so large as the mega-herbivores like Apatosaurus. Don't get me wrong, they're big. But the aren't HUGE. Each of these animals has decent HD. they aren't particularly fast, either. They can also deal out a reasonable amount of damage, but they have skittish morale. They aren't after a fight. They are generally prey, not predators. They are herd animals, though. granted the number appearing stats are pretty small herds, but it stills add up to a lot of prehistoric trampling and goring on the hoof -er, foot. Now let's talk about some differences. You'd think the Titanothere to be the most dangerous in general, due the extra HD and the slightly faster movement. Not to mention the higher damage. 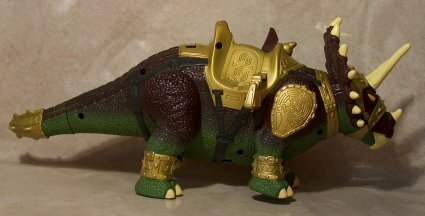 It isn't as well armored as the dinos, but it does have a bit of hide to get through. 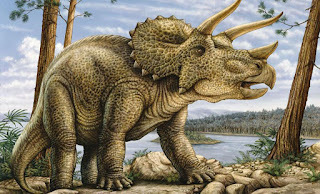 No, my money is on the triceratops. The two things that make me vote that way come from the description. "Although these creatures are plant eaters, they are aggressive and dangerous, usually attacking on sight. They charge for double damage on the first attack." So they are more likely to pick a fight, (slightly) less likely to run away, and their initial attack can do up to 36 points of damage. To be fair old Tricorn is a bit slow, so even on the charge he isn't running down able-bodied PCs, but you do to get caught walking when its initiative comes up. 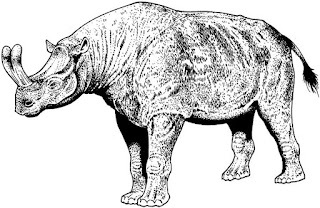 Lastly, if I were actually running a lost world setting with all these creatures from various eras and epochs mashed together, I'd have one word about these prehistoric herd animals. I haven't forgotten the Lost World RMAs. I am nearly through. I just thought I'd share something I observed. 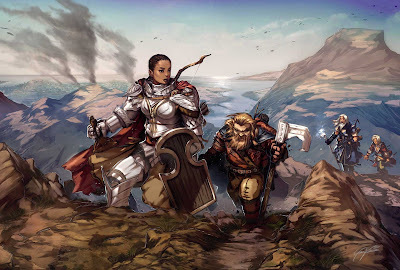 As I have been posting these writeups, I've shared them on various Google+ RPG communities where I felt they were relevant. Like most bloggers (even infrequent ones like me), I crave feedback, so comments and "+1s" are always welcome. 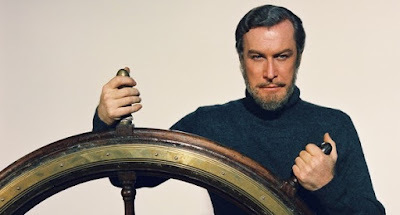 I see the alerts on my gmail page that someone has done so to my posts and the little red circle is a pleasant reminder that someone, somewhere derived a bit of pleasure from my ramblings. Last week I published an RMA for Sabre Tooth tigers. It was –by any measure– a pretty typical post of this type for me. I like to provide pictures when possible, if for no other reason than to break up the blocks of text. 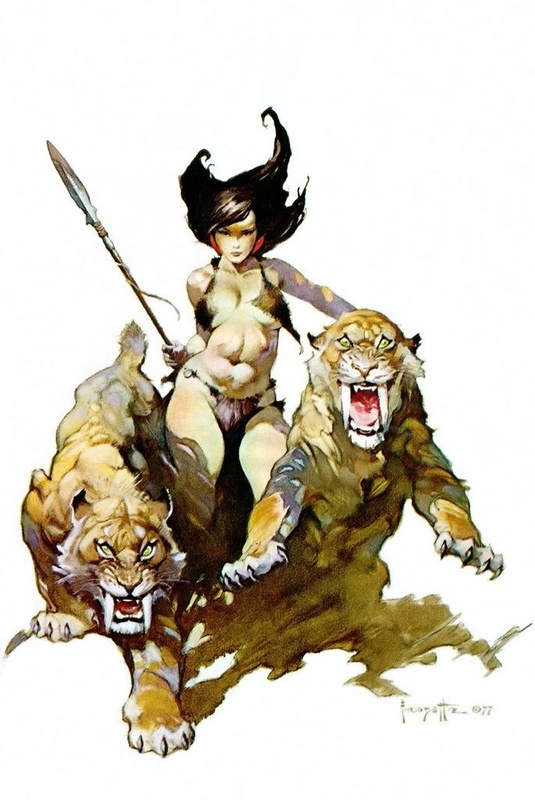 For the tigers, I found a classic bit of Frazetta art with a buxom lass flanked by two of the beasts in question. It amused me and that was about all the thought that went into it. When sharing to G+, the posts will grab a thumbnail of (usually) the first image on the linked page. As this was the creature picture I chose, that was fine. I linked it to three or four different communities and went on with my day. A week later, I was on the BX community page and noticed that this particular post had nine +1s. I don't usually keep count, but this seemed a little high, so I glanced back to see some older posts. They averaged about three each. this trend continued on other communities as well. Always with the most +1s of my posts, sometimes double or more of the next highest. Not really surprising, but it made me chuckle a bit. I'll try to post the last of the lost world critters within the next day or so. I actually prefer Gene Tierney, but this seemed more relevant. I talk a lot about encounters at sea and in the water, so it seemed fitting. It's related to a possible project I'm considering. Comments & Criticisms are welcome. Like all Moldvay Basic wands, it's MU/Elf-only with 1d10 charges. At first glance it's pretty mild stuff but this little magic glow-stick is an odd one. It's not reading alignment, it's reading intentions (like Detect Evil). It will cause "all enemies within 60' (even those hidden or invisible) to glow, as if on fire." You need to quickly identify which combatants are hostile to you in a confusing or crowded situation. Maybe there are traitor soldiers and loyalists all wearing the same uniforms? Invisible foe or foes are about. Prove a negative. "See? He's not glowing! He isn't the assassin!" The spell doesn't exist in BX, but DMs might even consider a "Faerie Fire" style bonus to hit vs. such well-lit opponents. I could have picked an image with just the cat, but when in doubt, use Frazetta! Continuing in the lost world theme, we have the sabre tooth tiger. Our main predatory mammal for such areas. Of course, such a creature would have had a hard time competing against the likes of T-Rex, but during the ice age, when dinos were long gone, ol' Smiley did all right for himself. I've already done a Random Monster Assessment on tigers, and really smilodon is more of the same. It's a great big cat with teeth and claws. Granted, in BX, it's the biggest and toothiest of the bunch. The main thing I would note about this fella is that he is (was) an apex predator and not easily scared off (high morale). While -in real life- primitive man and the great cat would probably have done their best to avoid each other (top predators like their space), and the beast would have likely found easier pickings than the hairless apes with pointy sticks, competition over food might cause clashes. Maybe a clan of cavemen manage to down a mastodon. It would take more than a day to butcher such a kill and prep it for taking back to the cave. A pack of sabre-tooths might find the carcass in the night and decide to try staking a claim. A party of PCs from "normal" times that find themselves in a lost world would probably be a smaller group than the smilodon typically would have to deal with (neanderthal mammoth hunting parties were typically a dozen or more men) . Snagglepuss might decide a handful of people are easy enough prey (or their horses). Especially if it's a pack of 3 or 4 cats. No, not really. Well... sort of. We'll get to that. First the actual bear. As with many of the "lost world" entries in BX/LL, the cave bear only vaguely matches up with reality. Ursus spelaeus was a predominantly vegetarian megafanua not much bigger than the larger bears of today. But that's not important right now, we're talking fantastic monsters here! 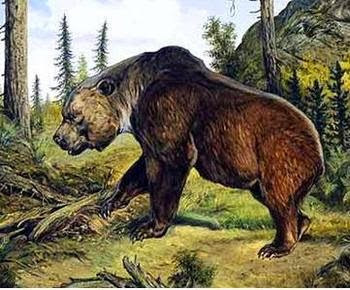 In BX, the cave bear is "...a type of giant grizzly bear which lives in caves and 'lost world' areas. It stands about 15' tall and is the most ferocious of all the bears." It's described as having a fondness for human flesh. I assume that extends to demi-humans as well. This blog has talked about bears before, and most of the ideas still apply. A BX cave bear is bigger, with more HD and dealing more damage, but other than that it's mostly more of the same. In a lost world setting, cave bears would probably be both predator and prey. Old T-Rex wouldn't turn his snout up and some bear meat, and neanderthals could certainly use the food and furs. This leads to my earlier comment about the Darryl Hannah movie. More accurately the book it was based upon. Before Jean Auel's novels shifted gears into pelt-ripping romances, the first couple books were actually pretty carefully crafted to describe Neanderthal life and culture as understood by modern paleontologists. The main character, Ayla, was a stranger; a Cro-Magnon (homo sapiens) among the older race of hominids. The idea being that the two races did exist simultaneously for a period of time. All that aside, the relevant part is also drawn from history. 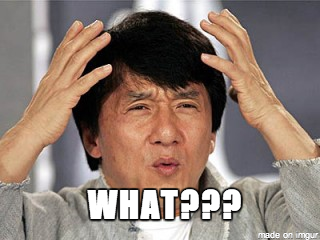 The idea of the cave bear having religious significance to the neanderthals. This is the most interesting part of the creature to me. The idea that tribes of cavemen might ritually hunt the bears, or hold them sacred. How would they react to PCs killing one in a random encounter? What's more, to reach into another creature's description, Stone Giants are known to keep cave bears as guard animals. What would the cavemen make of the giant and his pets? What about the neanderthals' chiefs and their foes the ogres? The opportunities to flesh out these dynamics within a "Lost Land" micro-setting are considerable.